Home Know How Indian Real Estate: Is This The Right Time To Buy A House? Indian Real Estate: Is This The Right Time To Buy A House? Buying a house is a major milestone in every human life. However, like any other investment instrument, real estate too has its swings and unpredictabilities that are driven by market conditions. The last few years were sluggish for Indian real estate market. 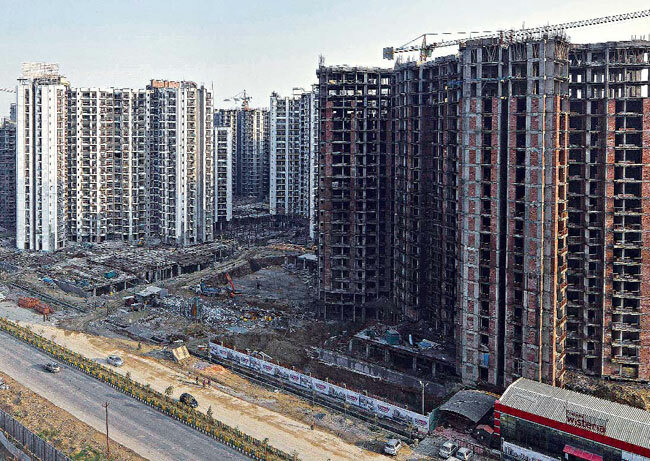 Property prices were high, inflation was even higher along with the increasing distrust over developers due to poor performance when it comes to timely delivery of the promised product. Although it is difficult to predict any market over what kind of gains can be made in the future, it seems to be a good time to buy a house if you have been waiting to buy one. With the implementation of RERA, builders are trying to complete ongoing projects on time, and get rid of existing inventory. This is leading to larger options for buyers, thus giving them a stronger negotiating position to get a good deal. RERA has also increased the transparency. Earlier, developers used to take buyers for a ride but now RERA will somehow make sure that you get the house at the time you were promised. Due to past few sluggish years, the inventory level in the residential real estate is still high. Builders are offering discounts and goodies such as free parking spaces and free club membership along with the property to clear inventory. Property prices have also dipped owing to the slow pace of the real estate market. This will give you a window to get your hands on an otherwise out-of-budget lucrative project. There has been a push on affordability housing by the government leading to several private players coming up with low-budget projects. With the policies like Pradhan Mantri Awas Yojna in play, affordability in the segment has increased manifold. With the confusion over GST and RERA now settling down, it seems to be a good time to consider new launches and under-construction projects. While property prices will gradually see a slow-paced correction in the near future, the rental income could see a consistent 10 percent increase every year, as per Indian Express. Disclaimer: Views expressed in this article are the opinions of the author alone. Previous articleWhy Kochi Is Top Future Mega City Of India?